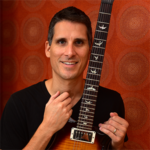 In Fretboard Theory Chapter 5, Major Scale Patterns, I explain that there are several different ways to break up the major scale notes into patterns. 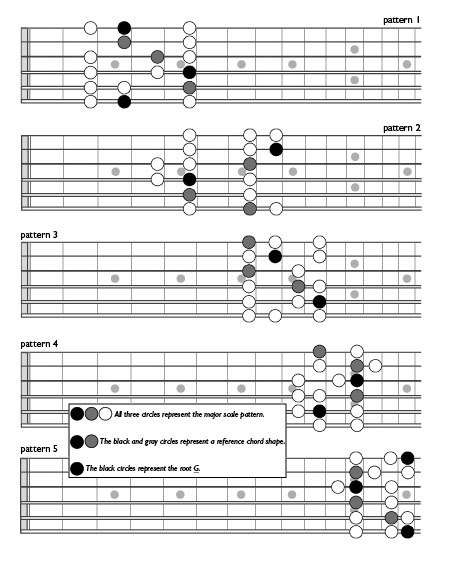 Since some notes on the guitar are available in more than one position, you can route the pattern in more than one way. 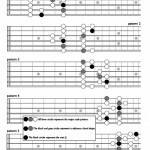 For example, the F# in my G major scale pattern 2 is played at the 4th fret of string 4. But the very same note is also at the 9th fret of string 5. Either way it’s the same note and same scale. When you memorize all the patterns and practice connecting them eventually everything will blend together and you’ll shift between patterns and positions seeing the scale more as one unit than 5 pieces.